Fits on tiny stages while it cranks out HUGE sound! 100 very loud watts through a heavy-magnet coaxial 2-way 12" speaker, 4-band EQ, compressor, balanced and line outs, plus extension speaker out let it hold its head up on any stage. 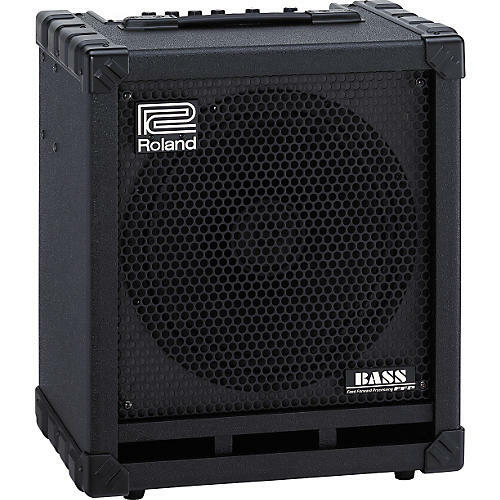 Small size; light weight; 8 COSM amp models; 5 digital effects including chorus, flanger, T-wah, and independent delay and reverb; shape switch; plus pad switch for active and passive basses make it perfect for studio work and basement jamming, too.